The chilling of a blast furnace is a very serious happening during the operation of a blast furnace. The revival of a chilled blast furnace is a big herculean task and it takes a very long time and needs a lot of patience to bring back the furnace to normal condition. In case of hearth chilling, it is not possible to tap liquid slag and hot metal, since the temperature in lower part of the blast furnace becomes very low and the connection between the tap hole and tuyere is lost. This is due to the solidification of the liquid slag which obstructs the liquids flow to the hearth. Tapped liquid slag is viscous and not moving in the runner. Excessive build up of hot metal and slag in the furnace due to either insufficient draining of the hot metal and slag during tapping and/or delay in opening of the tap hole. When the furnace starts giving warning signals it is necessary to take remedial actions to avoid approaching for a furnace chilling. The corrective actions are many but it is advisable to run the furnace on the hotter side by increasing the coke in the charge. iv) Instruments and measuring devices are either not calibrated properly or malfunctioning. v) Blast furnace operator is not able to read properly the happening inside the furnace from the data available to him. vi) Operator either not reacting or reacting late to the problems notices during the operation. viii) Violations of technological discipline with respect inspection of water leakage, cast house practice and blanking of tuyeres etc. x) Unprepared furnace stoppages due to sudden break downs of key equipments requiring major repair and long time for repair. These include charging system. Hot blast system and gas collecting and cleaning system. The permeability of the furnace has deteriorated and the layered structure of the stack is disturbed due to the frequent slips. Additional water leakage takes place due to the process upset. In the present day practice of running the furnace with fuel injection at the tuyere it is more difficult to restart the furnace after a few days if the furnace has been stopped with unprepared burden. For restarting the furnace after a few days of unplanned stoppage it is necessary that enough coke is available in front of the tuyeres. It is always desirable that remedial actions for the recovery should start as soon as the symptoms of the furnace chilling are visible. It is advisable not to experiment at this stage and take the help of an expert. However in the extreme case when it becomes very difficult to recover then the furnace needs to be raked out. Such a situation will arise when the furnace contains excessive amount of solidified slag, there is a lot of water ingress and very little coke remains in the deadman zone. iv) To determine whether all the water leakages in the furnace has stopped. vi) To determine the coke rate and the Basicity of the burden to be charged. viii) To determine the number of tuyeres with which the furnace should restart. If the hearth has been drained out empty as during the case of a heath break out then the furnace recovery is easier as compared to when the furnace is full of slag and water. Furnaces with process related problems are more difficult to revive. For the recovery of a chilled furnace it is necessary to re-establish connections between tap hole and tuyeres. Maximum heat is to be brought into the furnace to remelt the solidified slag and metal. It is also necessary to drain the melted materials. These steps are to be built into the plan. The things are not to be hurried up and next step is to taken after assessing the success of the previous step. Here operators experience and judgment is very important. The tap hole – tuyere connection can be re established by hand lancing or using thermal lances. This is the traditional method. In this method the working environment is hot, very harsh and full of hazards. The amount of heat which can be introduced by this method is small and is generally enough to remelt slag in a narrow passage from tuyeres to the tap hole. But since no air is blown in the furnace the furnace continue to cool down. Further furnace cannot be started without the connection between tap hole and the tuyere. Once the connection between the tap hole and tuyere is made the furnace is started with air blown in one or two tuyeres only. It must be done very carefully and with ample care to avoid re blocking the open connection. Adjacent tuyeres are opened after stabilizing blowing in these one or two tuyeres and if the operation conditions are favorable. For this a continuous monitoring is needed for the open tuyeres by the visual observations through the peep holes. It is important that during the recovery process tuyeres does not get opened on its own. This will start production of liquids at these tuyeres resulting in burning of tuyeres, blow pipes and coolers. This will cause un necessary delays during first critical delays of the recovery. The tuyeres are to be opened only as per plan and hence proper plug in of the tuyeres after cleaning is very important. The furnace recovery is very slow by this traditional method. However now a days for faster recovery oxy fuel technology is being used. 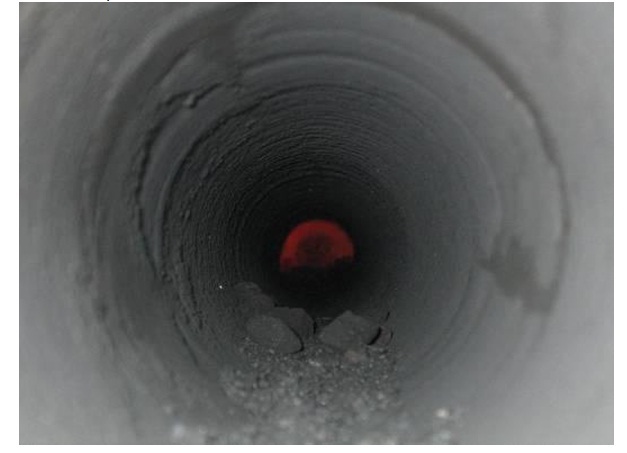 In this technology the connection between tap hole and tuyere is achieved by introducing a large amount of heat below the tuyeres by burning oxygen and fuel gas introduced in the furnace through lances that are drilled 3.5-4.5 meters inside the hearth. Most of the hat is generated by burning of the coke of deadman zone with oxygen. Since the chilling is a very serious type of the furnace outage and its potential consequences are very large. It is very essential there should be standard procedure for furnace chilling in every plant and the operators are well trained in the recovery process. Good to find a experienced Steel Industry Experts Site. I am also been in SAIL, Bokaro Steel , worked mostly in Quality Assurance, Operation in Steel Making & Hot rolling areas. Wish to be updated with your site . congrats to you sir for starting an excellent site. A must knowledge for BF Operators. Thanks for sharing your knowledge to blast furnace society. A must know for all Blast furnace operators.